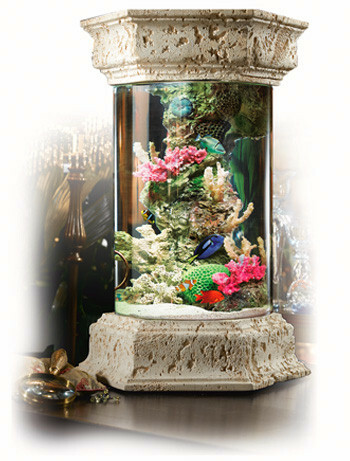 MidWest Tropical introduced the world to the term “Designer Aquarium.” Their Aquascape Aquariums are no exception. Aquascapes are the perfect freshwater aquarium. 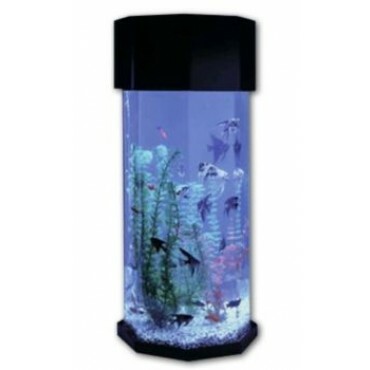 Simply add a heater & this designer desktop aquarium series makes for an excellent marine tank for raising dwarf seahorses in. Clear for Life’s Uniquarium™ series was designed to meet the needs of both the novice and the professional aquarium hobbyist. Their 3-in-1 filtrations system combines chemical, mechanical, and biological filtration to maintain a pristine aquatic ecosystem. The advance aquatic filtration is ideally suited for a tropical freshwater aquarium but can also stand up to the demands of a saltwater or marine reef tank system. Uniquariums can be used as a standalone desktop aquarium or their ultra-modern matching acrylic stand & canopy sets convert them into a stunning floor standing aquarium. Less than a decade ago there was no such thing as nano tank & the term nano cube had not yet been coined. The Red Sea MAX 130D works perfectly as a freshwater aquarium but was specifically designed for marine reef fish tank enthusiasts. 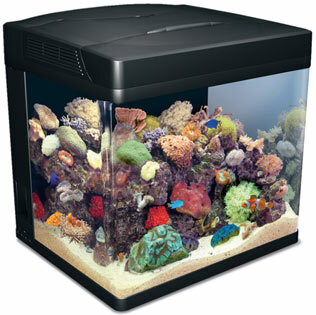 The MAX contains everything you need to create and maintain your very own coral reef system. 10,000k 50/50 split T-5 & Actinic lighting will insure that even the most finicky small polyp stoney (SPS) corals thrive and grow to their full potential. The 130D features Blue-LED moonlighting for viewing of your nano reef tank in subdued evening settings. This is a phenomenal desktop nano cube. 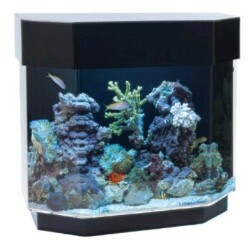 And the optional matching stand for the look and feel of a much larger nano reef tanks system. 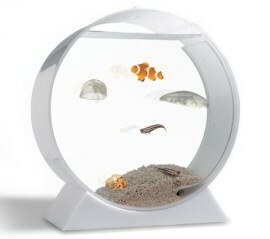 JellyfishArt is the premier manufacturer of the desktop jellyfish tank. The innovation involved in everything from producing the “World’s First” desktop jellyfish aquarium to catching and then tank-raising jellyfish to supply its customers wins JellyfishArt a featured spot in our Desktop Aquarium & Nano Reef Tank Section.